Dirt Busters Carpet Cleaning has the specialized equipment, training and cleaning chemicals to properly clean and maintain your commercial grade carpet. Properly maintained commercial carpets can easily last twenty years and more with regularly scheduled cleaning and vacuuming. 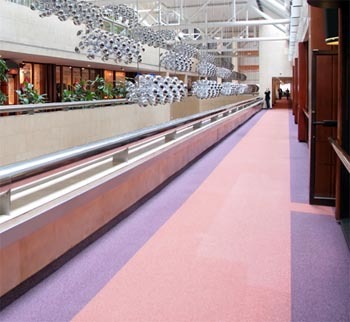 Clean carpets are a key component in a business’s overall image as well as employee productivity and moral. Dirt Busters Carpet Cleaning has the expertise to clean and maintain commercial carpets in many types of business including: Schools, Nursing Facilities, Day Care Centers, Professional Offices, Retail Stores, Apartments and Condos, Restaurants, Government Facilities and High Rise buildings. Upon completion we will provide you with a written cleaning proposal and quote. Why Choose Dirt Busters Carpet Cleaning? We guarantee your carpet will be completely dry in just one hour or even less!. We offer a 30-day Spot Free Warranty. If the spots or stains show up again during this period or we’ll clean your carpet again for free. We take great pride in our work and have extremely high quality standards. We only use the best cleaning methods and products available in the market. We provide first class customer service. It’s all about your needs! Our uniformed technicians will treat you and your belongings with respect. We are locally owned and operated. You will never pay hidden franchise fees. We offer a 30-day Spot Free Warranty. If the spots or stains show up again during this period we’ll clean your carpet again for free. Our technicians are professional and experienced. We are fully licensed and insured and certified by ICRC (Institute of Inspection, Cleaning and Restoration) and HOST. We think you will be impressed with our work and service. "Please check out our Carpet, Rug or Tile & Grout Cleaning Package pricing offers. We are sure you will find a cleaning offer that fits your needs. If you have any questions or cannot find a cleaning offer that fits your needs, please do not hesitate to call me at 386-681-8953 for immediate assistance." Click here to access tremendous savings from Dirt Busters Carpet Cleaning, Volusia County's Leading Cleaning Company! Dirt Busters Carpet Cleaning is proud to be "Green Certified". Our core cleaning solution provides a deep clean that is also green! Copyright © 2019. All Rights Reserved. Dirt Busters Carpet Cleaning, a leading Volusia County Carpet Cleaning Company.